During the first half of the fourth quarter the Russell 2000 ETF (IWM) lagged the larger S&P 500 ETF (SPY) by about 4 percentage points as investors worried over the possible ramifications of rising interest rates. The hedge funds and institutional investors we track typically invest more in smaller-cap stocks than an average investor (i.e. only 298 S&P 500 constituents were among the 500 most popular stocks among hedge funds), and we have seen data that shows those funds paring back their overall exposure. Those funds cutting positions in small-caps is one reason why volatility has increased. In the following paragraphs, we take a closer look at what hedge funds and prominent investors think of Antero Resources Corp (NYSE:AR) and see how the stock is affected by the recent hedge fund activity. Antero Resources Corp (NYSE:AR) shareholders have witnessed an increase in hedge fund sentiment recently. At the end of the third quarter there were 20 hedge funds with long positions in the company, up by 4 from the previous quarter. 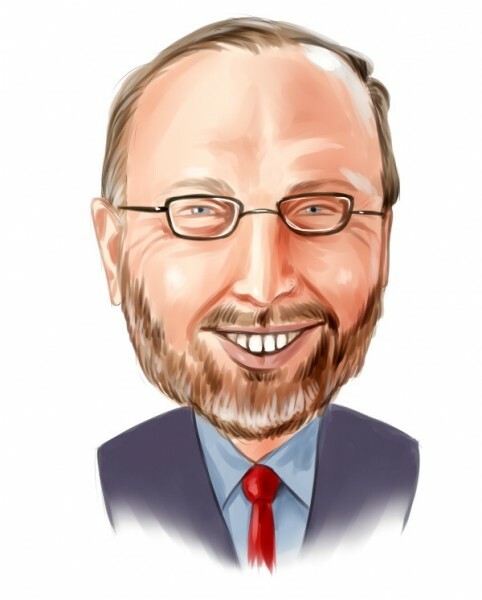 Among those investors long the stock, there weren’t many billionaires as the company wasn’t one of 30 stocks billionaires are crazy about: Insider Monkey billionaires stock index. With increased hedge fund enthusiasm for this stock in the third quarter, we decided to examine it further, hence we tracked Poplar Forest’s Quarterly Letter, in which it discusses several stocks, among which is Antero Resources Corp.
Let’s take a gander at the new hedge fund action regarding Antero Resources Corp (NYSE:AR). At the end of the third quarter, a total of 20 of the hedge funds tracked by Insider Monkey were bullish on this stock, a change of 25% from the previous quarter. 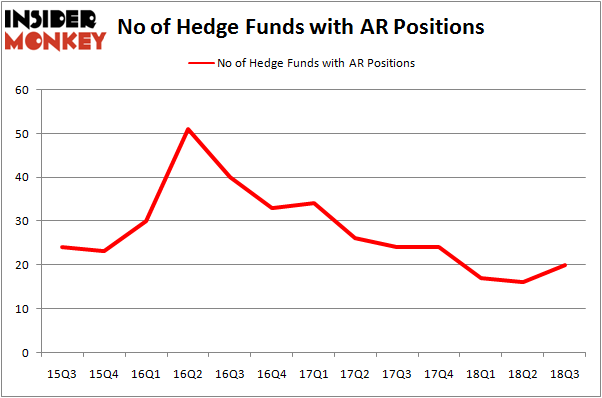 By comparison, 24 hedge funds held shares or bullish call options in AR heading into this year. So, let’s see which hedge funds were among the top holders of the stock and which hedge funds were making big moves. More specifically, SailingStone Capital Partners was the largest shareholder of Antero Resources Corp (NYSE:AR), with a stake worth $572.9 million reported as of the end of September. Trailing SailingStone Capital Partners was Baupost Group, which amassed a stake valued at $470.9 million. FPR Partners, Brave Warrior Capital, and Millennium Management were also very fond of the stock, giving the stock large weights in their portfolios. As aggregate interest increased, some big names have jumped into Antero Resources Corp (NYSE:AR) headfirst. Impax Asset Management, managed by Ian Simm, initiated the most outsized position in Antero Resources Corp (NYSE:AR). Impax Asset Management had $24.6 million invested in the company at the end of the quarter. Steve Cohen’s Point72 Asset Management also initiated a $5.3 million position during the quarter. The following funds were also among the new AR investors: T Boone Pickens’s BP Capital, Wayne Cooperman’s Cobalt Capital Management, and Matthew Hulsizer’s PEAK6 Capital Management. Let’s check out hedge fund activity in other stocks similar to Antero Resources Corp (NYSE:AR). These stocks are First Horizon National Corporation (NYSE:FHN), Integra Lifesciences Holdings Corp (NASDAQ:IART), Wix.Com Ltd (NASDAQ:WIX), and Globus Medical Inc (NYSE:GMED). This group of stocks’ market valuations resemble AR’s market valuation. As you can see these stocks had an average of 19 hedge funds with bullish positions and the average amount invested in these stocks was $406 million. That figure was $1.78 billion in AR’s case. Wix.Com Ltd (NASDAQ:WIX) is the most popular stock in this table. On the other hand Integra Lifesciences Holdings Corp (NASDAQ:IART) is the least popular one with only 14 bullish hedge fund positions. Antero Resources Corp (NYSE:AR) is not the most popular stock in this group but hedge fund interest is still above average. This is a slightly positive signal but we’d rather spend our time researching stocks that hedge funds are piling on. In this regard WIX might be a better candidate to consider a long position.